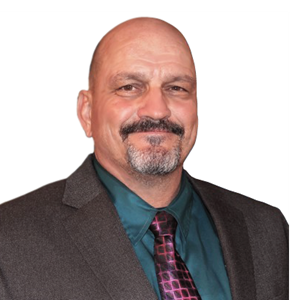 Brian Pattee started working in the Water /Wastewater Industry in 1981 with the City of Logan. Brian begin as a Water / Waste Water Operator working with Water Meters , ( Installing, Changing Out, Rebuilding). Wastewater collection/Lagoon System maintenance . Brian moved up to crew chief supervising a crew in Water system maintenance being responsible for Fire Hydrant flushing program and Large meter replacement /Installation program as well as Leak repairs. Brian has for the past 9 years Administered the Drinking water Quality Program responsible for all Regulatory compliance ,sampling , CCR, source protection and Drinking Water Quality Complaints. As well as Implementing Logan’s Cross Connection Control Program. Brian has obtained Certifications in Water Distribution Gr. 4, Cross Connection Administrator Level 1, Waste Water collections 3 & treatment 2 and Utah Registered stormwater Inspector. Brian has served on the Utah American Backflow Prevention Association Board of Directors for the past 6 yrs. and is currently the President. Brian spends his off time Camping, ATVing , and working in his yard. He is married to Keri and has two grown children Ashley , Jake and his Boxer “Zoey”.